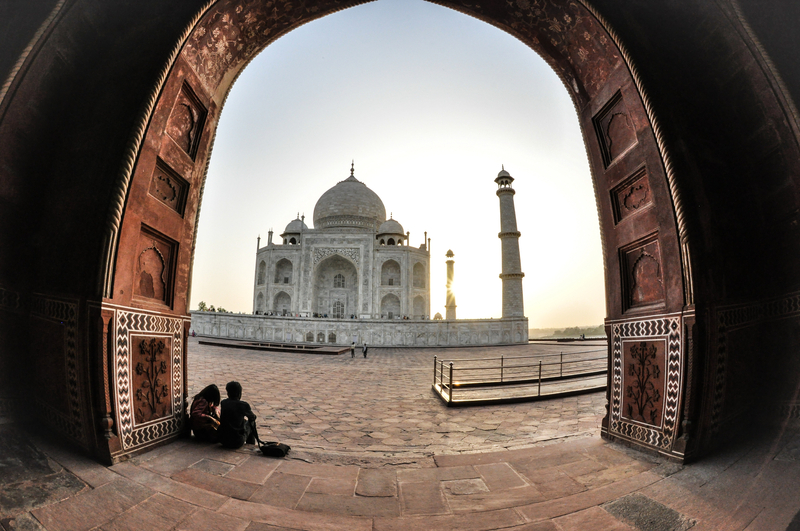 NextArbitration Becomes Regulated in India…Finally! In 2015, the Asia-Pacific legal markets saw a deepening of competition among a larger number and form of legal services provider. 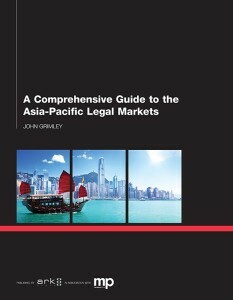 From global law firms utilizing mergers to international law firms seeking to emulate market gains by NewLaw firms – to the increasing ascendance of legal startups and online legal services providers – to the efforts by small law firms to compete in liberalized and changing legal markets – 2015 saw much innovation and competition in Asia’s legal markets. 2016 will see the Asia-Pacific legal market continue to grow in size as both local markets and the needs of clients expand. Anita Bennett, Director, People Development & Communications at leading Asia-Pacific NewLaw firm AdventBalance Lawyers, Sydney – Bennett was named the Marketing Communications Professional of the Year at the fourth annual Lawyers Weekly Women in Law Awards event in Melbourne in November, 2015. Marcus van Geyzel, Partner, Peter Ling & van Geyzel, Kuala Lumpur – van Geyzel is the founder of influential Malaysian law blog Loyar Burok and in 2015 co-founded The Malaysian Lawyer. As one nominee noted, “He can make the business of law fun both for those who practice it and to those who seek justice from it”. Amy Burton-Bradley, Partner, Julian Midwinter & Associates, Sydney — In 2015, Burton-Bradley co-authored the 2015 ALPMA/JMA Winning Work in a Digital World report which detailed that law firms “are still grappling with the same big external and internal challenges”: competition for clients in a mature and saturated market; firm differentiation; finding new sources of work; and keeping up with online, digital, and social media. Jayaprakash Jagateesan, Chief Executive Officer of RHT Holdings — In 2015, RHTLaw Taylor Wessing announced plans to publicly list RHT Holdings, offering a suite of professional services on the Catalist Board of the Singapore Exchange (SGX) in the first quarter of 2016, according to a report at the time in Channel News Asia. This planned listing is the second of its kind in multi-disciplinary services in Asia. According to the same report, “Malaysia’s ZICO raised about S$14 million through listing its professional services company, ZICO Holdings” (also on the Catalist Board).” Jagateesan, as CEO, is responsible for helping the firm navigate through the increasingly more competitive Singapore and greater Asia legal market with this listed, blended services offer. Anuj Agrawal, Associate Editor, Bar & Bench, Bangalore – Agrawal is part of the team constituting one of India’s prominent digital news magazines, where he covers subjects ranging from law school to legal market liberalization. Anna Zhang, The Asian Lawyer, Hong Kong – With experience gained with Asia IP, Shanghai Business Review and Forbes, Zhang covers all-things BigLaw related in Asia. Philip Jeyaretnam, Senior Counsel & Managing Partner, Rodyk & Davidson LLP, Singapore — Rodyk merged with Dentons in 2015. Reacting to the merger, Anna Zhang posed the following question in the Asian Lawyer: “Will joining the world’s largest law firm help revive Singapore’s oldest law firm? Lachlan McKnight, CEO, LegalVision, Sydney — In 2012 McKnight launched LegalVision, Australia’s fastest growing tech-driven law firm. In 2015, he told Australasian Law Practice Management Association (ALPMA) that LegalVision was generating 20 new customer leads per day from their inbound content marketing strategy. Stephen Kitts, Managing Partner – Asia, Corporate M&A Partner, Eversheds LLP, Hong Kong –In addition to leading Eversheds traditional legal services offer in Asia, Kitts also heads up Eversheds Agile, the firm’s NewLaw-style “flexible working, on-demand” service. More traditional law firms in recent years have been establishing divisions emulating NewLaw. Evershed’s efforts in this niche will be instructive as to what other traditional firms may be able to do in this space. Tan Mei Chel, Founder, Office Parrots, Kuala Lumpur – A former tax & corporate lawyer and regional counsel at a venture capital fund, Tan Mei Chel founded Office Parrots, a career website focused on helping professionals get a better insight into prospective employers in Malaysia and Singapore, and for employers to connect and match with qualified and interested candidates. The firm currently covers legal, accounting and finance related roles and industries. An integral component of Office Parrot’s success has been achieved with the help of their social media presence, including their blog. Harriet Warlow-Shill, Managing Partner and Co-Founder of KWS Legal, Melbourne – In August of 2015, Warlow-Shill made a presentation at the 3rd Annual Managing Partners Forum in Australia, outlining the firm’s approach to harnessing technology to boost efficiency and offer staff greater flexibility. Warlow-Shill is a leader among small law firm managing partners in the region navigating their firms effectively into the future. John W.H. Denton, CEO, Corrs Chambers Westgarth, Sydney — As head of one of Australia’s premier law firms, Denton leads the firm’s strategy of not maintaining a physical presence in the rest of Asia – while instead focusing on foreign direct investment from Asia into Australia. This strategy is employed by firms primarily as a means to secure work around Asia’s growing foreign investment while not being exposed to some of Asia’s domestic regulatory and competitive pressures. This strategy is distinct from those of mergers and acquisitions in the region being pursued by some of the global and international firms. Ranajit Dam, Managing Editor, Asian Legal Business, Singapore – Asian Legal Business covers the business of law across the whole of the Asia-Pacific Region, while at the same time sponsoring events and hosting an employment section within their website. Ranajit Dam’s coverage is must reading for anyone interested in the business of law in the Asia-Pacific region. Misa Han, Reporter, Australian Financial Review, Sydney — Misa Han writes on news and business topics and has authored a number of insightful works focused on the legal profession and the business of law in the region – including stories about in-house salary trends and the prospects for lawyers after adoption of the Trans-Pacific Partnership (TPP). Julia Charlton, Partner, Charltons Law, Hong Kong — “A Hong Kong corporate legal adviser with offices in Beijing and Shanghai, China, Charltons [advises] on Hong Kong law and on international corporate finance transactions. Charltons is one of the few Hong Kong law firms with a law office in Yangon, Myanmar.” The firm maintains a superb blog focused on the Myanmar legal and business market. Suet-Fern Lee, Partner, Morgan Lewis, Singapore – In early 2015, “global law firm Morgan Lewis and Singapore’s Stamford Law Corporation…announced they [were] joining forces to create the only fully integrated firm in Singapore that can practice across all legal service areas.” This merger is an example of a foreign and local law firm tie-up business strategy in a competitive local legal market. David Doran, Chairman and a Founding Partner of DFDL, Bangkok – The ASEAN Economic Community (AEC) has just come into being and Doran, as head of the pan-ASEAN region firm, is ideally placed to help it capitalize upon the region’s prospective growth and legal convergence. The Financial Times named DFDL the Most Innovative ASEAN Law Firm of 2015. Chiann Bao, Secretary General of the Hong Kong International Arbitration Centre (HKIAC), Hong Kong — As one of our readers outlined: “Under her stewardship [the HKIAC has] made great strides in putting Hong Kong firmly on the map in the world of Arbitration in 2015. Under Chiann, the HKIAC was recognised [in] the Queen Mary University of London International Arbitration Survey, which showcases the Hong Kong International Arbitration Centre (HKIAC) as being the most preferred arbitral institution outside of Europe and ranks it the third best arbitral institution worldwide. 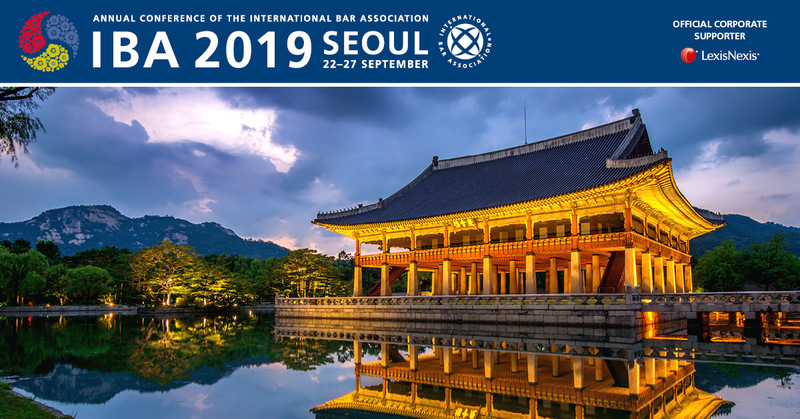 The survey, which was released at the annual conference of the International Bar Association in Vienna [in October, 2015], also found HKIAC to be the world’s most improved institution over the past five years. Participants said their choice of institution was based on an assessment of the quality of its administration, neutrality and level of “internationalism”. In 2015, the HKIAC also launched the Arbitration Evaluation System allowing users to evaluate the conduct of their arbitral proceedings and the performance of their arbitrators. Furthermore, GARranked HKIAC as the best for location, value for money, helpfulness of staff and IT services. Nguyen Ha Quyen Hoang, Managing Partner, LNT Partners, Ho Chi Minh City – In 2015 LNT Partners spearheaded an effort to facilitate foreign investment into Vietnam’s state-owned enterprises (SOE’s). The firm also launched Vietnam Law Insight, a blog dedicated to law and business in Vietnam, one of the fastest growing economies in the Asia-Pacific region. Chris Devonshire-Ellis of Dezan Shira & Associates deserves a mention, if only because he wrote so far the only business Guide to China’s New Silk Road, and included commentary on the Maritime Routes of South-East Asia in it. It’s a great read and I can recommend it. So he’s another one deserving of accolades.